Phase Converter-30hp (PT-380)(2% discount when paid via Quickbooks "Pay Now" ACH transfer...see details below) - Recommended for larger raceshops, woodworkers, and small production facilities that do not have available 3-phase supply from their local utility. 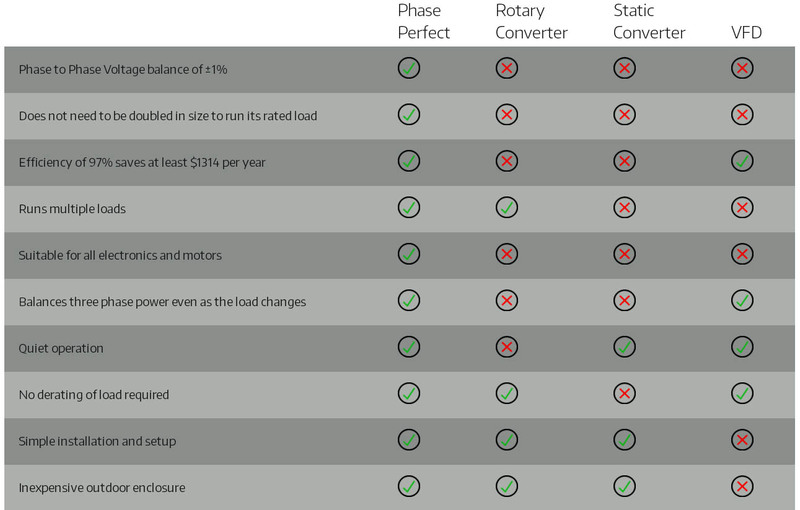 Phase Perfect® converters handle regenerative power by passing clean, balanced power back onto the single-phase line when three-phase loads are in a generating mode. Most other power switching converters waste regenerative power by burning it up with braking resistors. 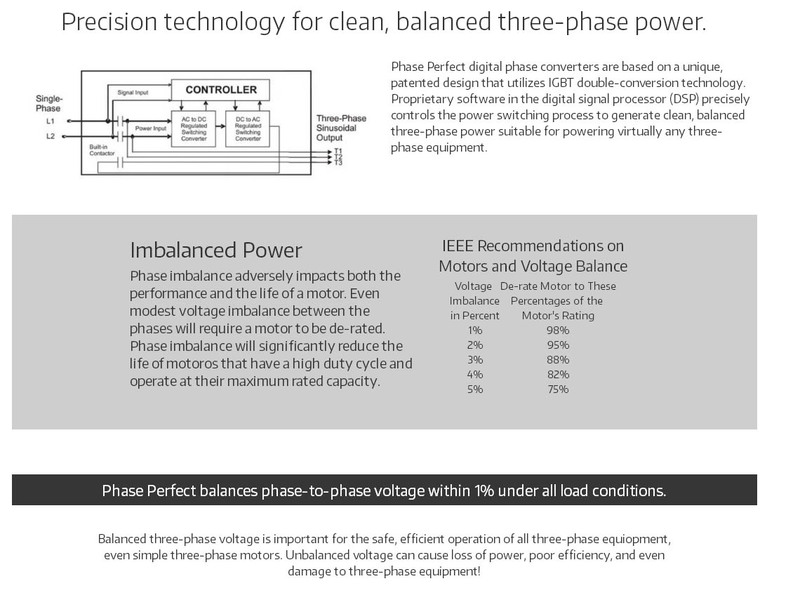 Putting regenerative power back onto the line saves electrical power and even allows Phase PerfectÂ® to operate continuously as a three-phase to single-phase converter. Utility three-phase service can cost thousands of dollars to install, even when three-phase lines are nearby. 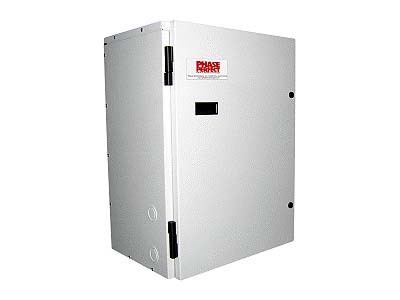 Phase PerfectÂ®is an affordable alternative that provides better phase balance than most utilities will specify for their service. It also protects three-phase equipment from damage due to under-voltage, over-voltage and single-phasing that can occur with AC mains power. Phase Perfect® is rugged, reliable and typically 97% efficient. LCD Display with 36 Character Text for Status Indicators - text display includes advanced diagnostics. Makes troubleshooting and discussions with the factory much easier should a problem arise. This is now standard on all units beginning in 2019. Units are built to order....lead time runs 7-14 days. Shipping Details - beginning in 2018, customers will be charged actual shipping cost for online orders paid via credit card. 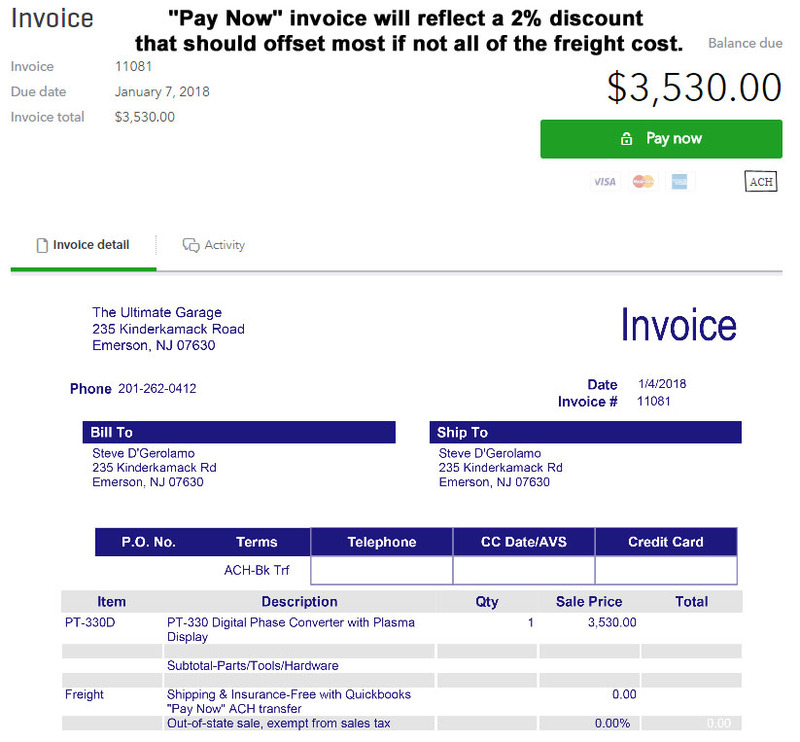 Phone orders billed and paid via Quickbooks "Pay Now" ACH bank transfers will receive a 2% discount on the purchase price which should offset most if not all of the shipping cost. This discount will be reflected in the invoice sent to you via email for payment. Excludes orders to AK/HI.